Very few businesses look like this when we first meet them! 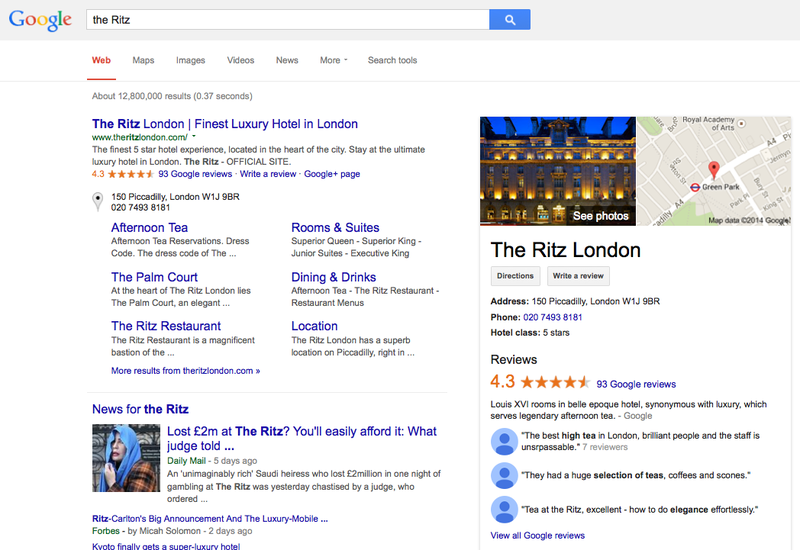 With Google reviews ever in the ascendancy the day is fast approaching (maybe even for hotels!) that your Google rating is going to be the only one that matters. This simplifies both our jobs, and it makes life hugely easier for your potential customers: Google is house-training them to look for reviews in one place, and one place only*. This is because people really don't write reviews in any volume at all unless they are asked to, or (and this is an important 'or') they are unhappy. That's why so many businesses look so bad on Google. Oh - and one post script for those out there that still doubt Google's influence: it's increasing by the day. Your prospective customers don't have to look for reviews on Google; Google are showing them even when someone just wants your phone number or address. Potential customers put off by negative reviews won't tell you (but they might tell us and your competitors) so it's difficult to directly quantify their effect, but considering that Dialogue takes up less than 5 minutes a day, why take that risk? *We have alluded to this before: we predict that independent review websites, whether they be small independent sites specialising in single markets or large and currently influential sites like TripAdvisor and Yelp will wither and fade because they will not be able to compete with Google. There won't be room for two sources of reviews and Google, as the gatekeeper to the web, will always win.